Travel with a Smile — Trip Insurance Protects Your Trip Cost, Your Medical Expenses, & Your Belongings. A lot can happen to disrupt a trip! Fortunately, our RoundTrip trip insurance plans make dealing with those disruptions much easier. Here are a few ways we help. What if you get the stomach flu the day before you're scheduled to leave and can't go on your trip? We pay for your non-refundable trip costs! 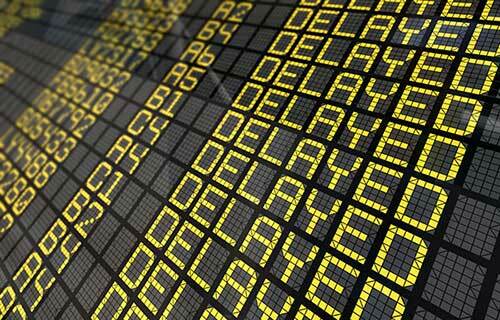 We also protect you for many other covered reasons which may cause you to cancel, delay, or interrupt your trip. What if you get sick when you’re traveling? What if proper medical care is not available in your location? What if your luggage is stolen, lost or damaged during your trip? What if you can't find a doctor, and you don't speak the language? Our 24/7 multilingual travel assistance team is here to help with you with many types of travel needs. Good benefits at a good price with options to expand your coverage. Pays for additional transportation, meals, accommodations, and non-refundable, unused prepaid expenses if you are delayed en route to/from your trip. Pays additional transportation costs to join your cruise or tour if you miss your connection due to a delay. Also covers accommodations, meals, and non-refundable trip payments for the unused portion of the cruise or tour. Covers fees associated with a change to your air itinerary. Covers dental expenses up to $750 for an injury. We will: 1)Transport you to the nearest appropriate medical facility if medically necessary; 2) Return your remains to your residence if you die while traveling; 3) If you are hospitalized more than 7 days, we will a) transport dependent children home if they are traveling with you and b) Send a person chosen by you to/from your bedside if you are traveling alone. Covers loss, theft, or damage to your baggage and personal effects. Seven Corners Assist is with you every step of your trip! Our 24/7 multilingual team is available to help you with travel emergencies and general travel assistance. They can arrange medical evacuations, escorts for unaccompanied children, medical record transfers and second opinions, and help you locate medical care. They can also provide interpreter referrals, help with lost passport recovery, hotel and flight re-bookings, and many other services. This benefit pays to transport you to the nearest safe place or to your primary residence if you must leave your trip because a Travel Advisory or Travel Warning is issued by the U.S. State Department for you to leave a country you are visiting due to 1)civil, military or political unrest; or 2) you being expelled or declared persona non grata by a country you are visiting. This benefit is not available if a Travel Advisory or Travel Warning is issued before your arrival in that country or if the country is listed as an Excluded Country before your arrival there. Benefits are payable only if arrangements are made by Seven Corners Assist. Your plan may provide this coverage for medical conditions which existed before your policy began if you meet the requirements. Plan requirements vary. Covered if you buy this plan within 20 days of your initial trip deposit and buy coverage for all nonrefundable prepaid trip costs. You must also insure the cost of all subsequent travel arrangements within 20 days of the payment date for each of those arrangements. Pays additional accidental death and dismemberment (AD&D) benefits due to an accident occurring while you are a passenger on an aircraft. Pays a percentage of your trip cost if you cancel your trip for any reason not otherwise covered. Benefits vary by plan. Pays 75% of your prepaid, non-refundable trip payments. Coverage must be purchased within 20 days of your initial trip deposit, you must cancel 2 days or more before your departure, and you must insure all nonrefundable prepaid trip costs. You must also insure the cost of subsequent travel arrangements added to your trip within 15 days of the payment/deposit for each of those arrangements. This option adds work-related covered reasons for the trip cancellation benefit. Coverage must be purchased within 20 days of your initial trip deposit. Pays 100% of your trip cost. Pays for your lift ticket if you cannot ski because 50% or more of the trails are closed. Also pays for equipment rental if your checked sports equipment is lost, stolen, damaged or delayed 12 hours or longer. You cannot purchase both the ski and golf options on the same plan. Pays for prepaid golf tickets or greens fees if you cannot play 9 holes of an 18-hole round due to weather. Also pays for equipment rental if your checked sports equipment is lost, stolen, damaged or delayed 12 hours or longer. You cannot purchase both the golf and ski options on the same plan. RoundTrip Choice is not available in these states: Alaska, Colorado, Florida, Indiana, Kansas, Massachusetts, Missouri, New Hampshire, New York, Virginia, Washington. * Travel Assistance services are not insurance and are provided by Seven Corners Assist. Your Underwriter: Insurance benefits for RoundTrip Economy, RoundTrip Choice and RoundTrip Elite are underwritten by the United States Fire Insurance Company. C&F and Crum and Forster are registered trademarks of United States Fire Insurance Company. The Crum & Forster group of companies is rated A (Excellent) by AM Best Company 2016. This information is a brief summary of benefits and services. It is not your plan document and does not contain a complete list of the coverage, limitations, and exclusions of this coverage. Coverage may vary and may not be available in all jurisdictions. Coverage availability varies by state. Benefits are subject to terms, limitations, and exclusions. Please review your plan document (provided during the purchase process) for specific state information which may affect benefits and/or coverage. If there is any difference between the summary above and your plan document, the provisions of your plan document will prevail.